When Sadaharu Oh signed his first professional baseball contract with the Yomiuri (a.k.a. Tokyo) Giants in 1959, the 19-year-old was a struggling pitcher in search of focus and a distinct baseball personality. After struggling early in his career, the 5'11, 173-pound Oh became an adamant pupil of Giants’ Hitting Coach Hiroshi Arakawa in 1962. A swordsman of some repute, Arakawa taught Oh to hit using principles applied by legendary Japanese samurai swordsmen. This led the development of Oh's unique batting stance and distinctive "flamingo" leg kick (which has been compared to the batting style of 500 Home Run Club member Mel Ott, though the two never met). It combined martial arts, Zen and baseball mechanics, and involved Oh raising his leg toward the plate but required tremendous practice and discipline to perfect. Using this new batting approach, it took the left-handed hitting Oh three years to blossom, but he would go on to dominate the baseball league in Japan with his poise, stamina and phenomenal skills…and attract the attention of baseball fans and experts worldwide. Oh lead his league in home runs fifteen times (and for thirteen consecutive seasons) and also drove in the most runs for thirteen seasons. More than just a power hitter, Oh was a five-time batting champion, and won the Japanese Central League's batting triple crown twice. 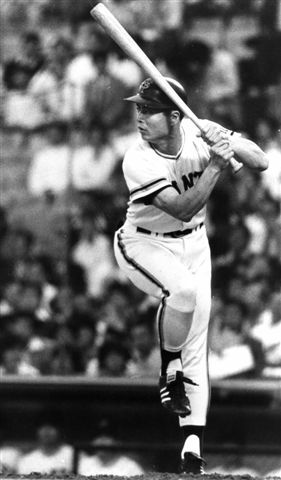 Sadaharu Oh often spent more time practicing his swing than he did using it on the field. The results were unquestioned, however as he went deep a staggering 868 times. 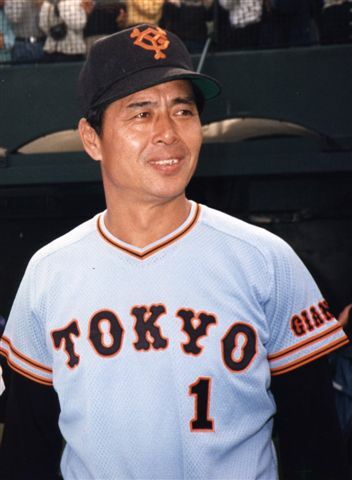 With Oh at first base, the Yomiuri Giants won eleven championships, and Oh was named the Central League's Most Valuable Player nine times and to the All-Star team eighteen times. He retired in 1980 at age 40, having amassed 2,786 hits (third after Isao Harimoto and Katsuya Nomura), 2,170 RBIs, a lifetime batting average of .301, and 868 home runs. Fun Fact: Internationally renowned rap artists “The Beastie Boys” referenced Sadaharu Oh in their song “Hey Ladies” with the lyric: “ There's more to me than you'll ever know…And I've got more hits than Sadaharu Oh. But nobody has more home runs -- not even Barry Bonds (who currently has 762 career homers).